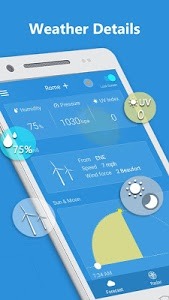 ☀Real-Time Weather: Weather condition now. 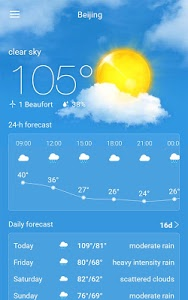 Temperature in status bar. 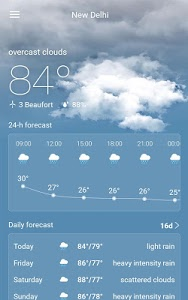 ☀Weather Forecast: Minute-by-minute & hourly & 9 day’s weather forecasts. 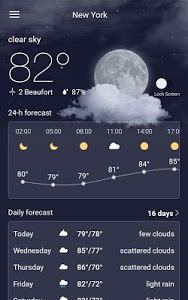 ☀Weather Details: Humidity readings, pressure, barometric pressure charts, dew point readings, UV index readings, air quality, wind forecasts and more. 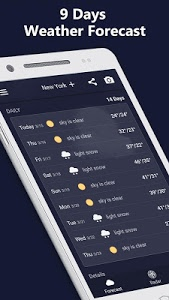 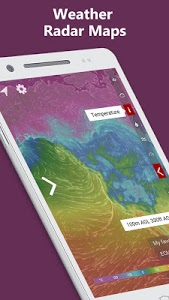 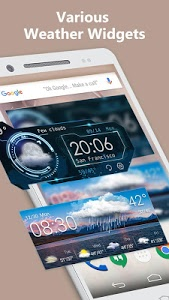 ☀Weather Widget: Various weather widgets with real-time weather, weather forecast, city, clock & calendar. 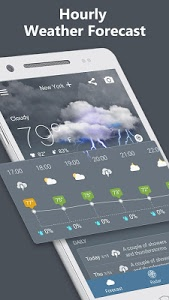 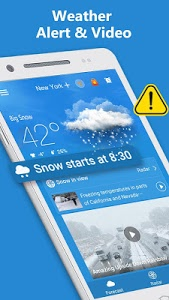 ☀Modern UI Design: Different weather special effects for better user experience. 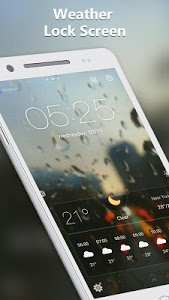 ☀Weather Forecast on Lock-Screen: Keeps your Android lock screen beautiful and useful. 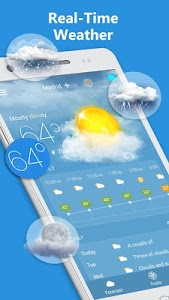 ☀Weather Camera: Camera with weather stickers. 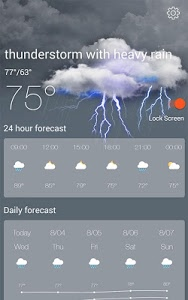 Similar to "Weather Radar & Forecast"